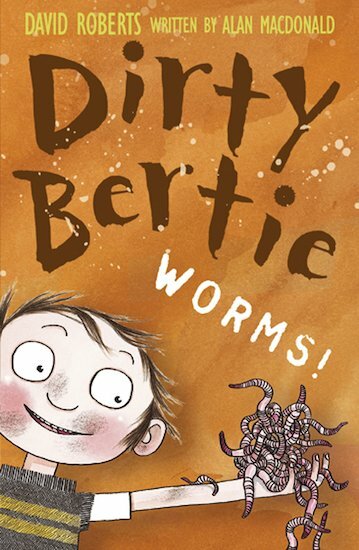 Dirty Bertie is a naughty boy with VERY disgusting habits. Wherever he goes, trouble follows… not to mention a trail of horrible mess! With a load of slimy wriggling worms to amuse him, Dirty Bertie is in heaven. Unfortunately, for the rest of his long-suffering family, it’s much more like hell….